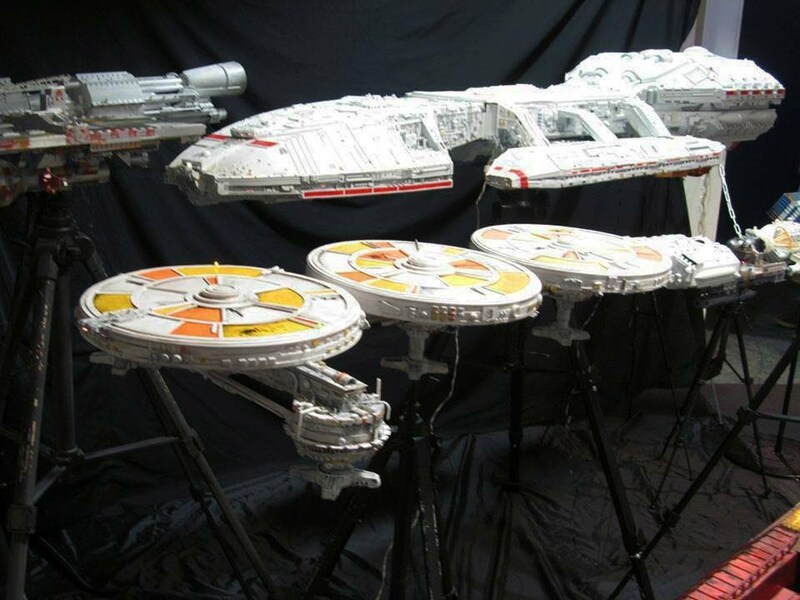 The latest news and gossip from the R2 UK Builders! Once again the UK R2D2 Builders were invited to join the UK Garrison at Birmingham MCM Expo, along with other costuming groups such as the Rebel Legion, Mando Mercs, the 15th Cyber Legion, Silver Sabres, and Reel Icons. Also this time the UK Garrison agreed to support our charity, Meningitis Now, one that is close to the hearts of the R2 Builders. Most droids turned up on Friday to help with the setup of the stand. As usual, Birmingham MCM had a great turn out of droids and builders, and the UK Garrison had allotted us a nice space with plenty of room to display them. The stand certainly proved popular over the weekend. Once the doors opened the usual shenanigans began. Droids went for a wander around, lots of photos being taken, and Jawas avoided. (You've got to keep an eye on those pesky Jawas, they'll take anything that isn't nailed down including a droid!). As always, the droids went down a treat and I'm sure every droid wrangler there will have a case of builders grin for quite a while. We also had a visit from an old friend, C3PO, who came around to pose for a few photo shoots. Both the attendees and the builders were happy to see him. Both days we managed to take part in the UK Garrison parade, where all the costuming groups would troop through the middle of the convention to let everyone take pictures, followed by a massive group picture at the end. These weekends are always very exhausting, but so much fun. This time we also managed to raise a whopping £2351.53 for Meningitis Now. Hopefully, this will aid in their battle to raise awareness, research vaccines, and support those who have lost loved ones. Read the entire report on the forum. Check the Forum and Facebook for more information builders! 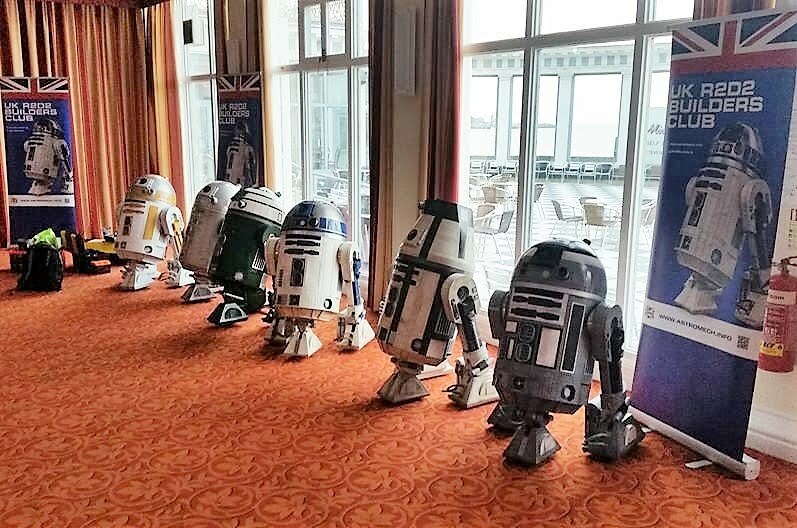 The R2 Builders return to the excellent Sci-Fi Scarborough Annual Convention! The event was over the whole weekend (9th -10th April) at the World famous Spa Complex. This histrionic venue is truly beautiful with multiple halls and connecting corridors filled with stores and costume groups, guaranteed to please. The Show is going from strength to strength each and the organizers (Stephen Dickinson and Andrew Harness) have already planned future events well into 2018 and we hope we be there for ever one! R2-M80 Getting involved in a Jedi duel! The Main hall consisted of a stores and traders and the front of this hall is main stage with programmed events throughout the day. The connecting corridors are also lined with traders and Cosplay groups, including the UK R2 Builders. Upstairs the in the ball room are various photo ops and Prop builders showing their amazing skills. Looking forward to next year already, see you there! 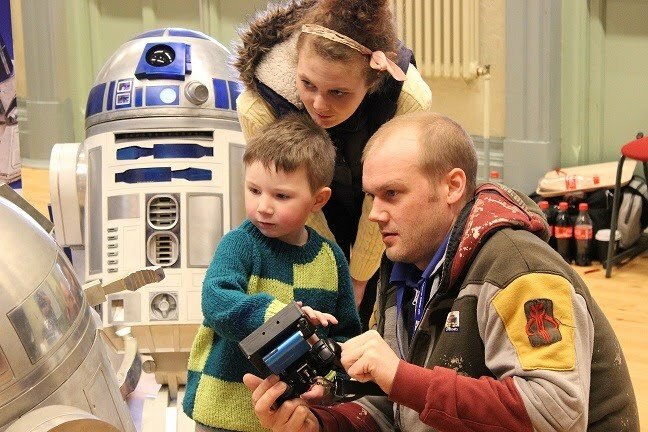 The UK R2D2 Builders head North! 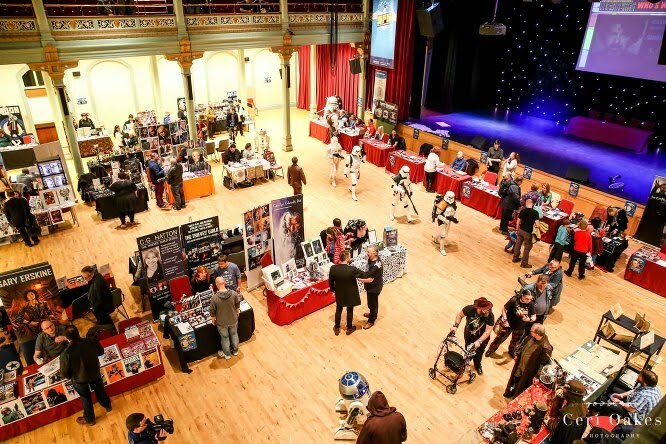 Another first event for the builders, this time an invite to attend the Scarborough Sci-Fi Convention, the event spanned over the entire weekend of the 14th and 15th of March. The location was extraordinarily picturesque with it being nestled along the beautiful if rather chilly North Yorkshire coastline and overlooked by the equally impressive ruins of the 11th century Scarborough castle. The event itself was held within The Spa complex on the Scarborough Seafront, an unusual shaped building, but as it turned out, perfect “droiding” territory with lots of slopes connecting the lower floor rooms and lifts for mounting top floor droid assaults. Scarborough Sci-Fi was a very well thought out event with a wide range of traders and signers from all genres of the Sci-Fi world including some of the more rarely seen artists. 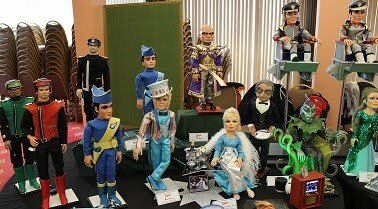 The upper floor held a real treat for Gerry Anderson fans with a large section of the floor being dedicated to all aspects of his TV shows ranging from the legendary Thunderbirds right through to the more obscure Space precinct. The weekend was a great fun packed event with plenty to see and do, whether it be grabbing an autograph or two or just watching the plethora of cosplayers showing off their brilliant homemade costumes. The UK R2D2 builders received a very warm welcome both by organisers and visitors alike and the club members were bombarded with questions and compliments in equal measure for the duration of the event with some of the smaller visitors being so fascinated by these little droids that they spent so much time asking “why?” and “how?” that I’m sure their parents must have missed great chunks of the event. All in all, a thoroughly enjoyable event, the Artic temperatures were quickly forgotten with the warmth of the hospitality of the North Yorkshire people. The Builders Club will always remember Scarborough Sci-Fi with great fondness and we look forward for next year! Eight UK R2 builders crossed the Channel to meet up with their European counterparts and meet at the excellent Flanders Expo centre in Ghent, Belgium. The Event was F.A.C.T.S 2014! Thousands of visitors enjoyed seeing, chatting and having photos with the droids. A variety of droids were on display of different R-series and colours. Both days included the the now customary "Droid Parade" where we all drive around the venue en mass, so all can see and we get to show off a little! See you again there next year and thanks for having us F.A.C.T.S! Attended the Tongham Village Fete in support of the Rebel Legion and UKG. Costumed characters and R2 totalled 9 with a mix of Jedi, Scout Trooper, Vader, Captain Rex and Padme (A.O.T.C costume). A good turnout of the local community with an estimated 1500-2000 people over the course of the afternoon. Great feedback from the public for the team that turned out and lots of interest in R2, with the usual build questions, photo op's and potentially a few new builders join the group! Attending Memorabilia at the NEC! We will be attending the great Memorabilia and Comic Con at the NEC Birmingham on the 22-23 March 2014. On the 23rd of September 2013, the UK R2 Builders attended the National Space Center which held a convention to celebrate the 30 year anniversary of Return of the Jedi! The listed events were (besides us of course!) The Reunion of Ewoks!! The actors, Brian Wheeler, Alan Bennett, Sarah Bennett, Katy Purvis, Kiran Shah, Danny Blackner and Peter Burroughs were all there, as well as the man whose reputation is bigger than an Exogorths stomach, Warwick Davis! This was the second time UK R2 Builders have met Warwick, UK Builder, James Short " I can honestly say, I've gone from being a fan of his work to a fan of him. He is one of the hardest working and dedicated people I've ever met, so down to earth and willing to talk to fans". Warwick chatted to the group for about half an hour after the show just to ask us about out droids! He was a big fan of them! 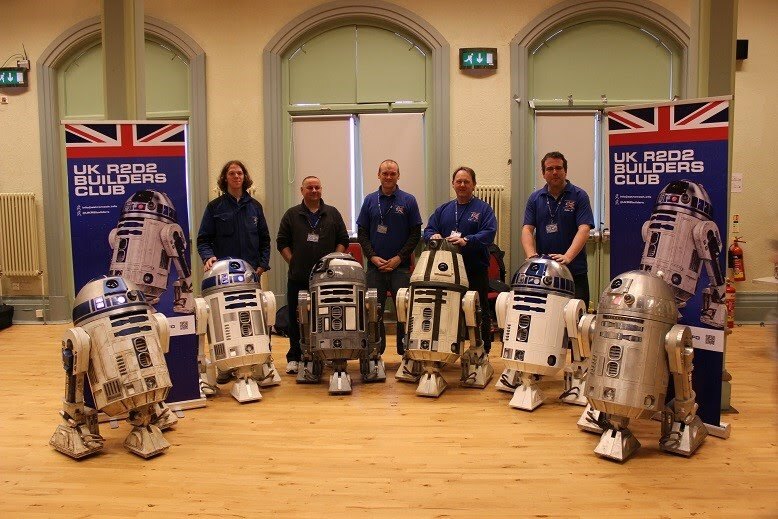 The UK R2 Builders were asked to give a talk and we were happy to oblige! Both Brad and James presented on stage to the crowds. We kept it to who we are, what an astromech is and the basics of building one and where to find out more information. We we got a lot of good feedback for it and hope to be asked again! We would like to give out a big THANK YOU to all of the UK Garrison - you guys are all great and have a wonderful community. Also to Malika at the NSC for organizing the event and make us so welcome. Thanks to all of the actors that we met during the weekend, it was great to meet you all and share your stories. We can't wait for next time! The new webpage and forum portal for members is now active. Here you will be able to learn all about the clubs current act ivies and follow us on the Event Calendar page and see what we get up to on the Attended Events page plus much much more!